And once again, Derek, being a really nice guy, agreed to answer our questions and some questions from the fans. Here is the interview, enjoy ! First of all, I would like to thank you, on the behalf of Your Majesty, the official French fan club of Dream Theater and its ex-members. You’ve always been such a nice guy to talk to on Twitter and on Facebook and you are the first and only (ex) member of Dream Theater to follow our Twitter account so once again thank you. Merci! It is nice to talk to you again. Needless to say that you are really active on social medias and especially Twitter. Is it necessary for you to be active or do you do it because it is fun to interact with people? A little of both. When I was in my teens, the only interaction I had with Van Halen and Aerosmith was their pictures and info on the LP sleeves, or Circus, Creem, or Hit Parader Magazine, and of course the live concerts. There was a mystique due to the limited info and zero accessibility to your favorite artist. Today, most artists are a Twitter response click away. Have social medias changed your life as a musician? It hasn’t changed my life at all. We know that all the songs from BCCIV were written by Glenn and Joe contrary to the other albums where you created some songs too. So how did it work for you that time in the studio? Did you still bring your ideas concerning melodies and keyboard sounds or did you come to the studio and play what they told you to play? BCC works a lightning fast pace as we usually only have a week to track 11 or 12 songs. We learn songs from the demos off of Glenn’s iPhone. 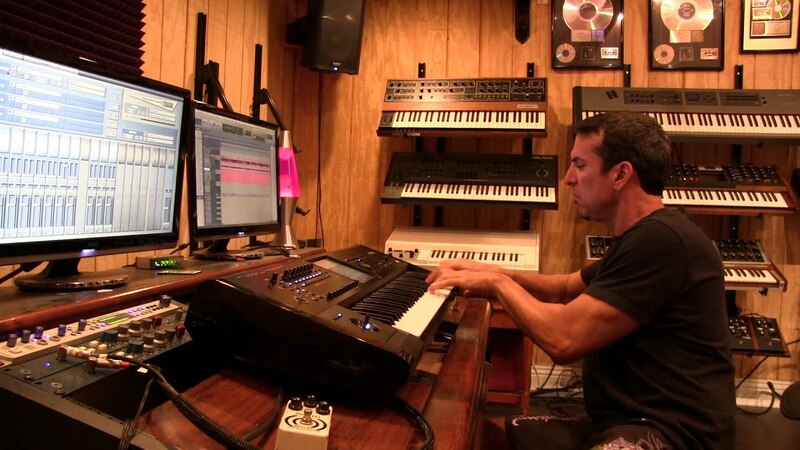 We then run the song two or three times as a band, do any fixes or additional overdubs, then we move on to the next song, There is no time to sit with the music and tweak, you have to create your parts and get your sounds on the fly. No problem for me, bring it on! Only three shows for promoting BCCIV? Is it a scheduling problem or a will from the band? After January 2018, my schedule will be full with Sons Of Apollo. Joe is also very busy with his solo career. In BCC, you mainly use the Hammond organ but rarely the (grand) piano (in the Great Divide in the background, that’s all, if I do remember well) and I was really pleased, when listening to BCCIV (thanks to Ben from Mascot, the review will be published the week before the release), to see that the grand piano was more at the center stage. Was it your idea? I honestly don’t remember, it goes by so fast. How do you export/import your signature sound into your new synths as you created it on the Korg Trinity which you are not using anymore: sampling or recreating from scratch? I just program and tweak until I get my sound. 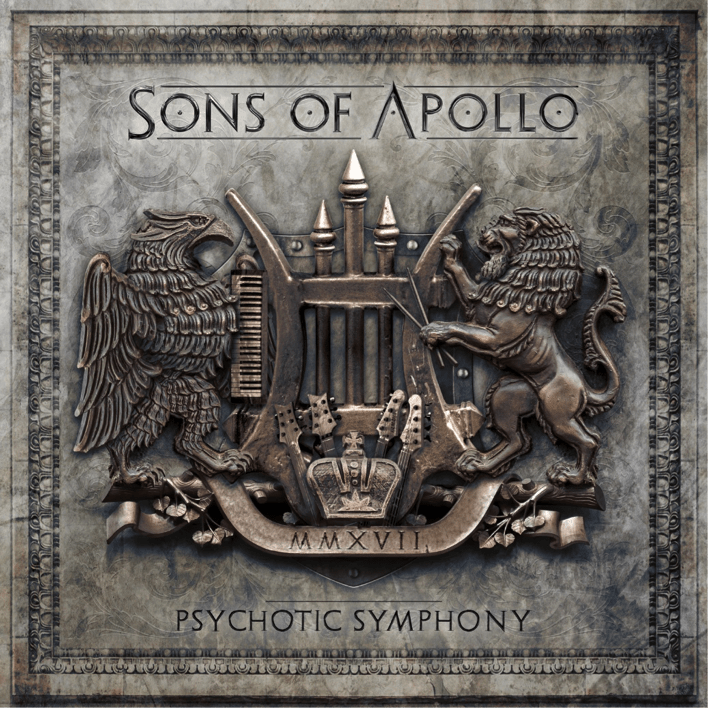 On the new Sons Of Apollo « Psychotic Symphony », my solos are split between Kronos, B3, and Nord Lead 3. How do you choose your sounds in the studio? What makes you think a Hammond sound or a mellotron sound will work better in a specific part? I always take the approach of a listener, what would be the mightiest keyboard part(s) for each section of this song, and what would be the ultimate sound. I am only limited by my imagination, and I have almost every keyboard on my wall. I then just pour myself into the track, inevitably leaving my strong DNA and signature sound/style no matter what artist or genre that I play in. What sounds did you use in that album, did you try new things? I used almost everything on the new SOA record. There is a lot of ballsy B3, and I really dug into my array of analog synths, experimenting running through different amps. This gives the synthesizer some balls and blends great with the guitars never sounding like cheese. All my sounds are very organic, and played in real time. I do not use MIDI, sequencing, apps, or any gadgetry. Which song is your favorite? Which one is the instrumental? This is truly a tough question as I am intimately attached to all of them, but I would say that my favorite is the « God Of The Sun » trilogy. It is the opening song on the record, I am the sole composer of the music, and wrote half of the vocal melody lines and lyrics. I really poured myself into this piece, and consider it my best work to date. The instrumental is « Opus Maximus ». This song is a 10 minute beast that covers a lot of ground, and bombastically closes the record. Is the band envisioning this being their primary band for all of them, meaning you all plan to try to do album/tour cycles as regularly as possible for the near future, or is this more to be « just one more project » in addition to the other things they are all involved with? Sons Of Apollo is going to generate ten times the heat that any of the other projects/bands that we are in, all other projects will quietly go by the wayside and put on « hiatus ». We have an octopus like rock pedigree, we have run out of arms to list the major credits of our members. We have never seen a group of musicians that have not only the virtuosity, but the arena rock swagger, balls, and presentation of SOA. This band is going to be huge, we are very excited about our future. Mike announced that he would be back in Europe next year (with a gig in France apparently). Is the tour already fully scheduled? Have you already thought about the setlist? And of course, as an album is often not enough to fill a setlist, are you going to play covers from your other bands (of course we are all thinking about a Dream Theater song, like “Anna Lee” at least if the band doesn’t want to play that song, you could play “Been Here Before”) or from other bands (Van Halen, Deep Purple just like what you did during the Ultimate Jam)? Mike is the set list master. He will let us know when he figures it out. I personally would feel comfortable playing « Lines in the Sand » and « Hell’s Kitchen » as Mike and I wrote half of that music. I have no desire to play Anna Lee again. We all know that you are a keyboardist with a truly rock n roll spirit and with a guitar style. You even played the guitar with “Nightmare Cinema”? Do you still play the guitar and do you still want to play it one day on stage and why not do like “Nightmare Cinema” and create a new ephemeral band called “Nephews of Athena” (Jeff on the keyboards, Mike on the bass, Billy on vocals and Ron on the drums). I like Nieces Of Athena is better, make it a chick band! Jeff Beck. Also I would like to play with Edward Van Halen again. When we take a look at your discography, we see a lot of metal/rock bands (Alice Cooper, Yngwie Malmsteen, Billy Idol, BCC, SOA, DT….). When we take a look at your influences (Elton John, Van Halen…), we see a lot of rock acts too. But are you interested in other styles of music (classical, pop, electro…)? I listen to old school hip hop in my car, like Dre, Snoop, 2Pac- I can disengage my brain with this music, and not analyze it to death. Since you have worked closely with both guys… Who do you think would win in an Arm Wrestling match? Zakk Wylde or John Petrucci? Or even you? I think it would be very close between those guys- both of their arms are as big as my leg!